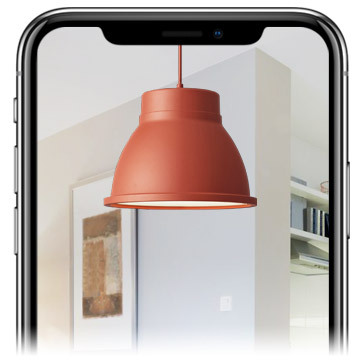 Allow customers to preview your lights in their home or office with Augmented Reality. Improve purchase confidence and increase sales. 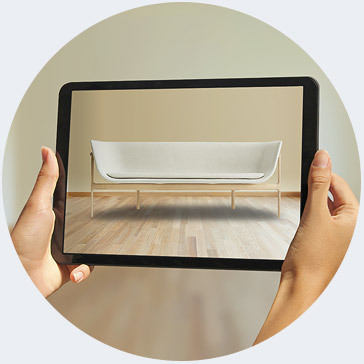 Augmented Reality helps customers realistcally visualise your lights in their home or office. This removes purchase hesitation, fast tracking your sales cycle and getting customers much more engaged. The perfect lights can completely transform the style of a room, but how can customers be sure that what they see in your showroom will suit their home or office? This uncertainty can result in sluggish sales and costly returns. Augmented Reality solves this issue, giving customers the ability see your lights realistically their space, increasing purchase confidence and sales. Expand brand awareness and reach more customers by allowing them to visualise your products in Augmented Reality.